A spellbinding novel that will resonate with readers of Mark Haddon, Louise Erdrich, and John Irving, Perfect tells the story of a young boy who is thrown into the murky, difficult realities of the adult world with far-reaching consequences. Byron Hemmings wakes to a morning that looks like any other: his school uniform draped over his wooden desk chair, his sister arguing over the breakfast cereal, the click of his mother's heels as she crosses the kitchen. But when the three of them leave home, driving into a dense summer fog, the morning takes an unmistakable turn. In one terrible moment, something happens, something completely unexpected and at odds with life as Byron understands it. While his mother seems not to have noticed, eleven-year-old Byron understands that from now on nothing can be the same. What happened and who is to blame? Over the days and weeks that follow, Byron's perfect world is shattered. Unable to trust his parents, he confides in his best friend, James, and together they concoct a plan. . . .
As she did in her debut, The Unlikely Pilgrimage of Harold Fry, Rachel Joyce has imagined bewitching characters who find their ordinary lives unexpectedly thrown into chaos, who learn that there are times when children must become parents to their parents, and who discover that in confronting the hard truths about their pasts, they will forge unexpected relationships that have profound and surprising impacts. 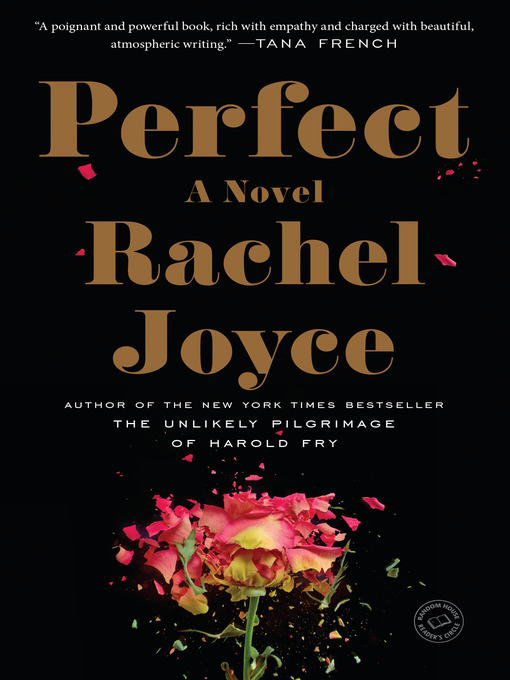 Brimming with love, forgiveness, and redemption, Perfect will cement Rachel Joyce's reputation as one of fiction's brightest talents.